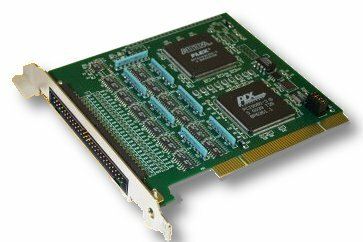 The high-density CPCI-12AI64 board provides cost effective 1,500,000 conversions-per-second 12-bit analog input capability in a single-width PMC format. The inputs are configurable either as 64 single-ended channels or as 32 differential channels, and the input range can be software-selectable as ±10V, ±5V or ±2.5V. Scan rates can be controlled from either (a) an internal rate generator, (b) through an external digital input, or (c) by direct software commands. Multiple CPCI-12AI64 boards can be connected together for synchronous scanning. Data buffering is configurable either as a single 64K sample FIFO for maximum buffering, or as dual 64-location swinging buffers for minimum latency. Internal autocalibration networks permit calibration to be performed without removing the board from the system. 6HPDI up to 64 3 General Purpose I/O lines 20MHz/80Mbytes per second VME 64bit; 50Mbytes per second High-speed digital interface.